Arne has been professor in Ghent since February 2011. His research focuses mainly on interfacial phenomena in drinking and process water treatment with a major focus on membranes. However, his research interests also expand to adsorptive and ion exchange processes, and more energy-efficient processes for selective separations between organics and inorganics. 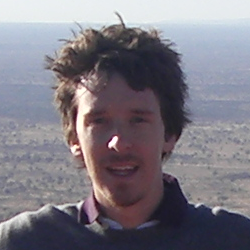 Arne obtained his PhD in 2008 at Delft University of Technology on the topic of “Removal of organic micropollutants by NF/RO membranes” and carried out a post-doc at the UNESCO Centre for Membrane Science and Technology in Sydney from 2008-2009. Arne is currently involved in the “Resource Recovery Technology (R2T) consortium”, and also in “CAPTURE (Centre for Advanced Process Technology for Urban Resource Recovery”, both focusing on resource recovery and zero-waste research. Arne also has a strong research interest in sanitation and drinking water production for developing countries.